The paper proposes a new probability distribution, named inverse xgamma (IXG) distribution. Different mathematical and statistical properties, viz., reliability characteristics, inverse moments, quantile function, mean inverse residual life, stress-strength reliability, stochastic ordering and order statistics of the proposed distribution have been derived and discussed. Estimation of the parameter of IXG distribution has been approached by different methods, namely, maximum likelihood estimation, least squares estimation, weighted least squares estimation, Cramèr–von-Mises estimation and maximum product of spacing estimation (MPSE). A simulation study has been carried out to compare the performance of these estimators in terms of their mean squared errors. Asymptotic confidence interval of the parameter in terms of average widths and coverage probabilities is also obtained using MPSE of the parameter. Finally, a data set is used to demonstrate the applicability of IXG distribution in real life situations. 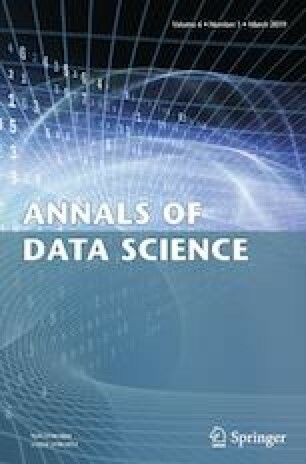 The authors would like to thank the Editor-in-Chief and anonymous Referees for their constructive comments, which led to the present form of the paper. We also thanked Dr. Ved prakash, Dept. of English, Central University of Rajasthan for going through the manuscript and suggesting some modifications in present version.